I had a really good week at Meijer this week. Buy 3 Capri Sun at $1.57 each, get a Meijer coupon for a FREE Nabisco multi snack pack. 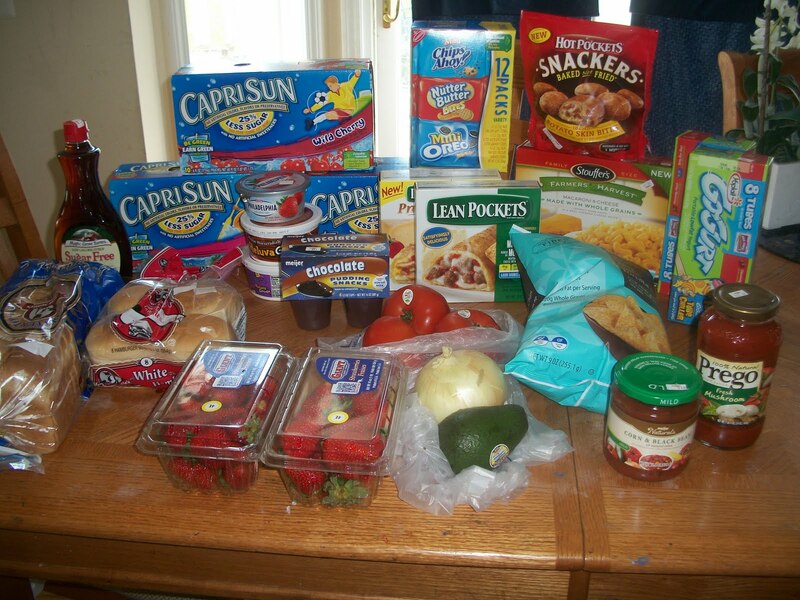 The snack packs are $4.95 and cost more than the 3 boxes of Capri Sun.. What a GREAT DEAL. Since I was using the coupon I got last week buying Capri Sun, I had her ring it this week as a separate transaction to get another FREE coupon. I spent $4.71 and got another $4.95 coupon. Tomatoes on sale $1.29 a lb. I used $14.10 in coupons and spent only $27!